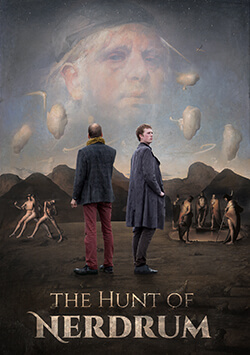 7th June 2018,the six part documentary-series on Odd Nerdrum’s life and work was released on Vimeo where you can rent and buy individual episodes or the entire show. Since spring 2016, Jan-Ove Tuv, Öde and Bork S. Nerdrum have traveled the world to seek out Nerdrum’s former students and his sources of inspiration. They have visited museums that made an early impact on Nerdrum, as well as the film director who inspired him to go to Iceland where he developed his allegorical imagery. Jan-Ove Tuv — the lead character and voiceover for the documentary — studied with Nerdrum from 1996 to 2002 and has often pointed out that his teacher never looks at painters from an historical point of view but from a perspective where paintings must withstand comparisons across time.